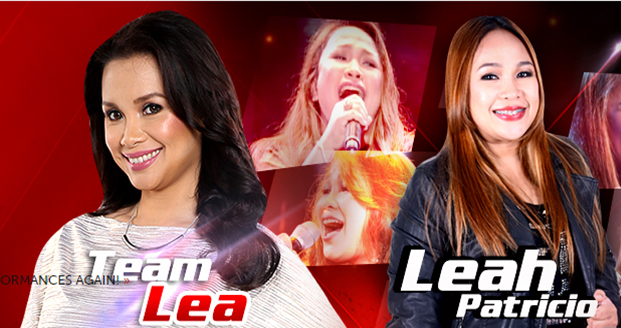 MANILA, Philippines - Power belter Leah Patricio sang Gary Valenciano's hit song "Muli" on the Final Showdown of ABS-CBN's Twitter-trending singing competition 'The Voice of the Philippines' on Saturday, February 28, 2015 at the Newport Performing Arts, Theater, Resorts World Manila, Newport City, Pasay City. The 35-year band vocalist from Tondo, Manila performed a duet song with ASAP mainstay Jed Madela. Coach Sarah Geronimo was impressed on her performance and said the music industry needs Leah. Leah has joined a lot of singing contests before, but now she is even more determined to build a successful singing career. “This time, I will fight for my family and for the future of my kids so I can provide for their needs,” she shared. Aside from Lea, other artists fighting for the grand title are Team Apl’s Alisah Bonaobra, Team Bamboo’s Rence Rapanot, and Team Sarah's Jason Dy. The second winner of 'The Voice of the Philippines' will be named based from the outcome of the public and online votes. Text VOICE LEAH and send to 2331 for ABS-CBN Mobile, Globe, TM and Sun Cellular subscribers and 231 for Smart and Talk 'N Text subscribers. The tariff is P1.00/vote for ABS-CBN Mobile, P2.50/vote for Globe, TM, Smart and Talk 'N text and P2.00/vote for Sun Cellular subscribers. Note: One vote per artist per SIM per round only.